Bowler Hat provide a strategy driven approach to SEO and digital marketing. Starting with your business goals we help you understand the digital landscape and formulate a comprehensive digital marketing plan. Where other agencies dive in at a tactical level we step back and ensure you have a winning strategy and only then do we look at specific marketing tactics such as SEO, PPC, Social Media, Display and Content Marketing. We subscribe to this mentality 100% and ensure you first have a winning strategy and then we build on this with world class tactical marketing. From awareness to advocacy - Bowler Hat will help you understand and dominate your niche in the digital marketing landscape. I've had the pleasure of working with Marcus of BowlerHat. He did a site audit for one of my sites that were penalized by Google's Panda. I have been trying to recover for 2 years but nothing I tried work. Marcus gave me an itemized report of all the issues causing the penalty along with instructions on how to fix the problems and recover. He found problems I never knew were happening and now I have itemized instructions and a gameplan to fully recover. His services were quick and he was always polite and detailed with all my questions. I would work with BowlerHat again and recommend Marcus to anyone requiring SEO help. We had a site built for us by a local web developer and whilst it looked okay we could not find it on Google so were worried that our customers would have the same problem. We spoke to Marcus and Ryan from BowlerHat who reviewed the site for us and pointed out several problems which were a little out of our area of understanding but it certainly did not seem good. Bowler Hat provided us with a service that they called Found for £250 a month and in that package they rebuilt our site from scratch and explained that they had done that using WordPress. They also explained that they had optimised the site so we would have more visibility in local search. Now, we don't really understand what they have done, but what we do know is that only six weeks later if you search for the keywords we wanted to target we come up first in many cases. We also sometimes come up twice on the same page and also there are lots of other listings like Yell and Qype that come up and also link to us. Ryan continues to help us and explain how they are continuing to improve things and we seem to be above other people who have been running a similar business in the same area for quite a while longer than us as we have just started up. Ultimately, the real proof here is that we are getting several calls from the website every day now and we have had more business from the website than from our flyers or newspaper adverts and it costs us less to do this! Really happy with the work done and just feel glad that we found Bowler Hat and got rid of our last guy as they really know what they are doing with this confusing SEO business. SEO has always been one of those areas that always confused me, when dealing with my own website trying to get the SEO to work right for my business was a tiresome task. As many business owners will be able to relate I regularly get cold calls about being able to get on page one in Google for a price. After having a consultation with Marcus from Bowler Hat in Birmingham I was able to talk about what I need and what problems I had in the past. Marcus listened to exactly what I said and what I wanted. Once Marcus knew what I wanted we both looked at my website in detail to see what was working for and against my businesses SEO. Being a small business just starting out he informed me about the different price plans that Bowler Hat offer, so that I knew what I could afford and what plan suited my business best of all. With my business relying on a local client base I was shown the power of local search listings and SEO optimisation for a small area rather than international. I was amazed at how simple the process was made. The language used to tell me what Bowler Hat would do for my business was in plain english, so I understood exactly what would be done. After initially looking for some SEO I have decided to have an entire new website built by Bowler Hat. I now know that my SEO will be so much stronger with my website built by an SEO specialist such as Marcus and the rest of the Bowler Hat team. I have no hesitation in strongly recommending Marcus and the rest of the Bowler Hat team to local businesses both small and large. The customer service is amazing and the knowledge they have is outstanding. The coffee isn't bad either. Many thanks to Marcus and the rest of the Bowler Hat team!!! My company Adventure Graphics have worked with Marcus from Bowler Hat for a while now after bad experiences with other SEO Companies. We are either referring Bowler Hat to our existing clients or often working closely with them on website and design projects so the quality of the work is highly important as any problems would reflect badly on our business. We work with a lot of small businesses so budgets are not always huge but Marcus and the Bowler Hat team always provide a high quality service and more important generate results for our customers. The approach that always starts with an SEO audit or some basic consulting to assess what needs to be done and firm up a plan. At times when it seems like internet marketing is a minefield it is refreshing to find an SEO consultant that is not trying to overcharge you and that consistently delivers results. Highly Recommended. With Google constantly updating its algorithms with the Penguin and Panda updates being the latest ones, its been a real challenge for myself to find a trust worthy white hat SEO company, most "white hat" companies out there advertising themselves are in fact using dodgy tactics like spinning a single blog post to hundreds of directories, this is just one example of "white hat" SEO companies harming your website's rankings. I have recently started using Bowler Hats SEO consultant services for my website after doing thorough research of-coarse, I must say that I could not be any happier with my choice, I have finally found a company that actually cares about me as a client and my business's growth - I only wish I found them sooner. I started my piano teaching business up again after 5 years and wanted to market my services in the most efficient way possible. I hadn't used the internet or SEO before but getting good advice about this was very difficult. I tried several companies in Birmingham who each gave me different advice and hugely varying quotes. I was also told that I could not market my services online without a website, which was another cost I would have to reluctantly consider. It was then that I got in touch with Marcus at Bowler Hat who informed me that, as a small, local business I didn't need a website and that a Google Local profile would be enough for people to find me. This seemed the easiest, most cost effective option, so I purchased one month of their Found package for small local businesses. A month later I received a pin from Google and a couple of days after giving this to the team at Bowler Hat I have started to receive enquiries and if I search for 'piano teacher' my listing is almost at the top of the page! Bowler Hat offered the best price, I didn't have to spend unnecessary time and money on a website and am getting regular business just a month in. A professional, friendly and efficient service, great value and exactly what I was looking for. Highly recommended. I was looking for a local SEO consultant for some time when I stumbled across Bowler hat in Birmingham. I'm glad I did. The service is second to none and to fate the results have been impressive. 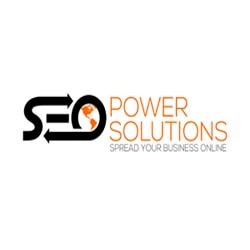 I would recommend them to any business looking for a search engine optimisation service. Marcus and his team are a breath of fresh air to work with. Over the years I've exhausted many SEO companies with average results, Marcus is very down to earth, speaks in a language that you understand and beyond this, he without doubt knows his craft as an experienced SEO consultant in Birmingham, it's a joy to be consulted by him where others have simply failed. The level of service that I have received from Bowler Hat has been excellent from the moment I initially contacted them back in 2007 for our first website up until the present day where they are now working on our new website and blog. Marcus and his team are always at the end of the phone or quick to respond via email with any questions that I have regarding our onsite and off site SEO. They provide excellent feedback in a way that any client can understand no matter what their level of search engine optimisation knowledge is and Bowler Hat's solutions have helped to grow our website year on year. Our company relies on the website as a main source of income and without Marcus and his team working hard to improve traffic and conversion rates we would not have survived these unstable economic times of recent. 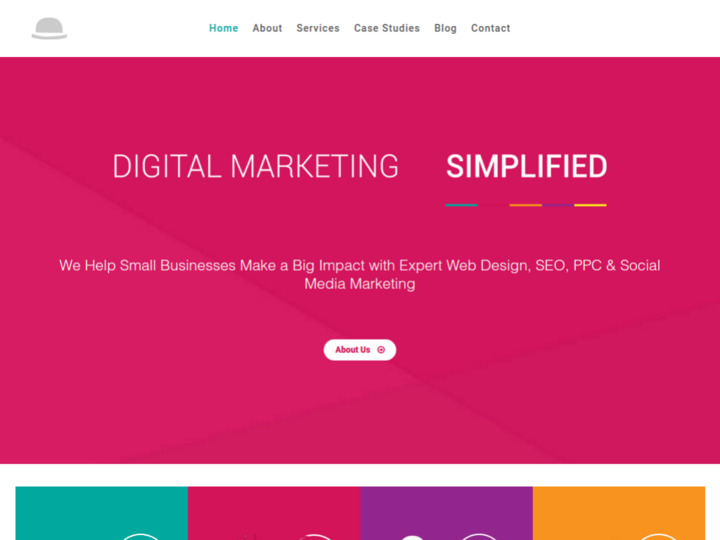 If you are looking for a no nonsense web design and SEO company to host your company website then I highly recommend Bowler Hat as a solution to the mine field of other sub standard companies out there. Marcus helped us to build our website five years ago and continues to assist us in the maintenance of it. We have found him to be very knowledgeable, professional and helpful. Marcus sorted out my webhosting and e-mails for my business and recently updated some site security features. As always helpful, approachable and available to deal with anything that crops up. Costs are pretty reasonable too! We have run a successful e-commerce site for around eight years now. Last summer we suffered some technical difficulties with our website and last autumn we launched a completely new site on the same domain. We continued to suffer some technical problems which we worked very hard with our developer to overcome. With the Google quality guidelines getting tougher and tougher to achieve we have worked hard to build a technically good and content rich site. By late May we felt that we had overcome all of our technical problems but felt it appropriate to ask Marcus to do a full audit of our site to identify any remaining issues. Marcus carried out an extremely thorough audit and picked up some minor issues for us to address. He gave us a pretty clean bill of health which pleased us no end. One thing we do wish is that we had talked to Marcus at Bowler Hat 12 months ago so that we could have out some things in place with the new site rather than having to redo things at a somewhat slow pace over the last year. I would recommend any site, wherever you are in Google's rankings today, to get an audit done so that you can find potential problems before they become issues. I had to make changes to my existing website due to coding issues & Bowler Hat analysed the issues giving me a couple of options and were upfront with the work that would need to be done with relevant costings. They delivered a great result and have had a great after care service. A pleasure to work with! I have worked with Marcus and the Bowlerhat team for 2 years in my role as Marketing Manager at The Custard Factory, during which they have looked after all our SEO and run highly successful targeted pay per click campaigns. The results they have achieved have been truly fantastic Our organic search visibility is the highest it has ever been and the PPC campaigns have increased attendance at our events and generated high quality leads that have helped us to achieve our business goals. Marcus always explains things in plain English in a way I can understand and talks through all the options so I can make an informed decision about how to achieve the maximum impact from the budget. Crucially, they are also a pleasure to work with – a lovely, friendly team who I always look forward to having meetings with. I couldn’t rate them more highly. Marcus and his team have been absolutely brilliant. We were really struggling with our our local onsite SEO for our branch pages, Marcus went though the site with a fine tooth comb, leaving no stone unturned. The changes that have been implemented have made a vast improvement in national and local key phrases. If your looking for an SEO company who knows what there doing look no further. We had our website re-designed recently in order to make it responsive. We hoped this would ensure its high position on search results. However , as soon as the new website went live, it started to drop quite rapidly on google search, and I couldn't understand why. That's when I knew that I had to find a good seo person, but I also knew, from past experience, that it wouldn't be easy to find someone who is an expert and also honest. After quite a bit of research, I contacted 3 different seo companies, and I could tell immediately that Marcus was way above the rest. He was the only one to pinpoint a problem which I had known about for 10 months, but had given up on ever being able to resolve. Marcus told me that his company had dealt with and resolved this type of situation many times before, and I could tell that he knew exactly what he was talking about. And miraculously, the whole situation was put right within a few days. To me, who had been struggling for over 10 months with this issue, it was a total miracle. Also, Google had lost all the reviews we had accumulated on the maps over several years, and suddenly, all the reviews re-appeared. We rose again on the listings very fast after that. Marcus and his company are a pleasure to work with, they explain everything they are doing in a clear and intelligent way. Everything is transparent, so you kow exactly what you are paying for. And best of all, they get results. I highly recommend them. I recently encountered some technical problems with my website that were having a major impact with Google. Bowler Hat investigated, found the issues and fixed them, giving me knowledgeable feedback and a price for the work, before going ahead. I'd highly recommend and will use them in the future. We hired Marcus to execute a link disavow and audit and to consult with us on our SEO approach. Although we are in the US and he is across the pond in the UK, he has been readily available for advice and counsel. I've personally learned a great deal from him and look forward to working with him and the team at Bowler Hat in the future. We have worked with Marcus on a highly technical SEO challenge for a specific product and have found his market knowledge, expertise and insights invaluable. We have worked with Bowler Hat for several years now to promote our business. We only derive leads from online sources like Google and social media and they have always advised us and kept us at the top of the search engines. We don't have a huge budget but nothing is ever too much trouble. Marcus can get a bit geeky at times but they always take time to explain things in plain terms that anyone can understand. I can happily recommend them.